Rehab is “a joke:” I’ve been court-ordered to do it six times. I could write the book on rehab. Constantly sending me to rehab is pointless. The first few times I was court-ordered to rehab it was like a joke, like killing time. 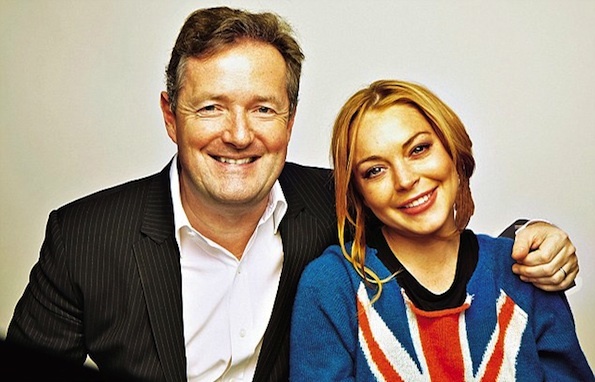 Fixing Lindsay 101: The best thing they could do for me would be to make me go abroad to different countries and work with children. Her dad’s affair: He’d disappeared for five days, so I asked Mum if we could go to my grandmother’s house and see if he was there. I got out of the car when we arrived and I saw him diving into the pool with some woman. So I ran into the house and checked her ID to see who she was. I remember running back to the car, feeling sick. I didn’t tell Mum until we got home. That woman was the one he had a secret child with, which came out in the press recently. “When did you first go to therapy?”: Around 13. I wanted to talk to someone. I didn’t want to burden Mum with everything. On bisexuality/dating Samantha Ronson: I like being in a relationship with a guy. But there’s something just different about it with a woman. When I was with Samantha, I didn’t want to leave, because I didn’t want to be alone. It was very toxic. And her family controlled anything she did. “So you’re probably straight?”: No, I know I’m straight. I have made out with girls before, and I had a relationship with a girl. But I think I needed to experience that and I think I was looking for something different. “Do you drink a lot?”: Not really. I’ve never been a huge drinker. I’ve never woken up in the morning and had a drink.